Joinery presents unique challenges to the outdoor furniture maker. 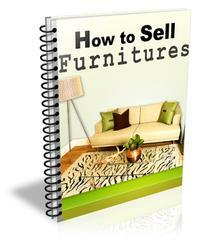 Many of the standard joints used for indoor furniture are incapable of withstanding the abuses wrought by weather. 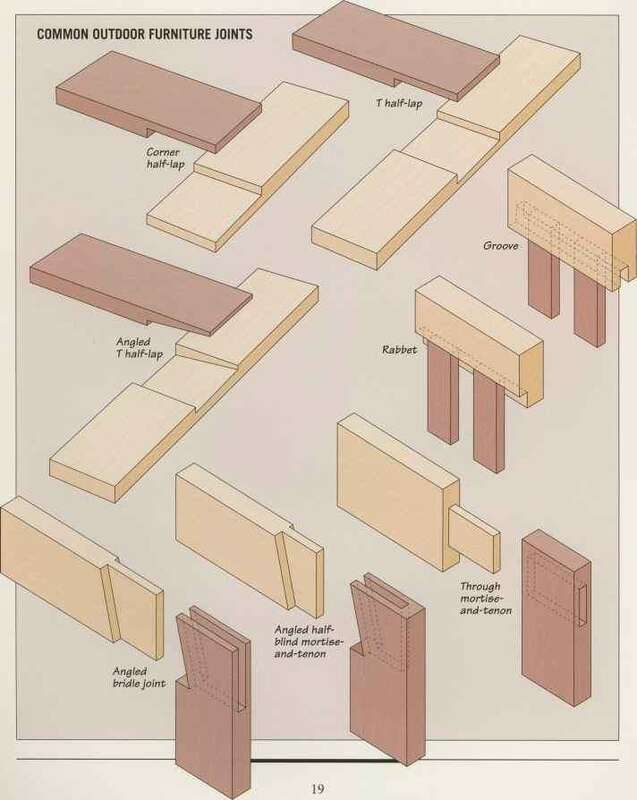 The blind mortise-and-tenon joint, for example, is normally an excellent choice for joining chair rails and legs, but it does not fare well outdoors. Water can become trapped in the mortise, causing the joint to swell and leading to wood decay. 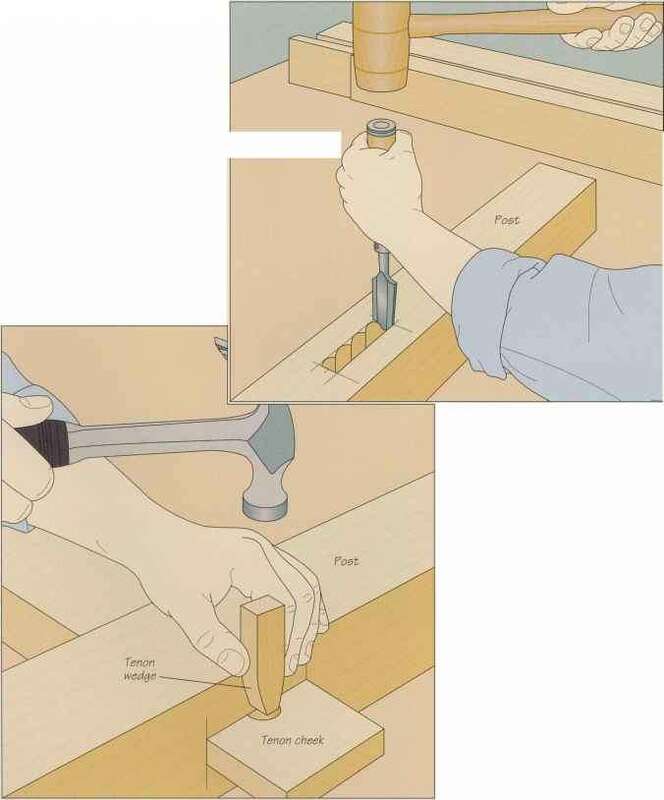 A variation on the same joint, the through mortise-and-tenon (page 19), solves that problem by allowing water to drain out. Cutting angled shoulders helps prevent water from becoming trapped. Lap joints and rabbet joints also work well. For extra protection against water, you can coat the mating surfaces of joints with a preservative such as pine tar or an adhesive caulking compound. Outdoor furniture makes frequent use of fasteners to connect components. Choosing the right hardware is an important part of building outdoor furniture that will last. Chain and eye-hooks suspend hanging furniture, such as porch swings. Lag bolts, threaded rods and cross dowels join projects together. 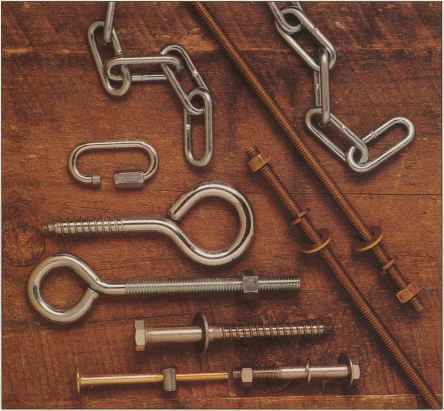 Make sure you select corrosion-resistant hardware, such as galvanized stainless steel or bronze. Make sure you choose ones that are either made from—or coated with—a metal that will not rust. Iron fasteners will eventually weaken or break; they also stain the wood. Glues play an important part in most joinery, and here again, weather affects your choices. Standard yel low carpenter's glue is not waterproof and will eventually fail when exposed to the elements. Instead, select a specialized glue designed for outdoor use, such as resorcinol and epoxy-base adhesives. The former is somewhat easier to use, but epoxy has useful gap-filling properties.